Waterbury – Joyce (Cordeau) Strileckis, 74, passed away on Friday, September 7, 2018. She was the wife of the late James Strileckis, Sr.
Joyce was born in Waterbury on February 16, 1944 to Emil and Rose (Martin) Cordeau. She was the owner of Joyce’s Bridal and Formal Wear, which she opened in the 70’s; and owner of Spring Travel Agency. Joyce was a lifetime member of the Franco American Social Club, and cofounder of the Franco American Club Ladies Auxiliary. She was involved with Miss Connecticut, Miss Waterbury, Miss Mattatuck, and Italian Heritage Queen pageants. Joyce was a master organizer and leader. 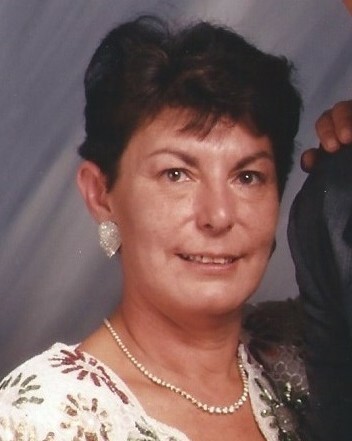 Joyce is survived by her three sons, James Strileckis, and his girlfriend, Maria; Jeffrey Strileckis; and Jason Strileckis, and his wife, Julie; her brother, Bob Cordeau; her sister, Lorraine Guerrette; her 6 grandchildren, Jessica, Jimmy, Emily, Molly, Josh, and Jamie; 2 great-grandchildren; and many nieces and nephews. Calling hours will be held on Wednesday, September 12 from 6 p.m. to 8 p.m. at Woodtick Memorial, 420 Woodtick Road, Wolcott. Burial will be held Thursday at 10 a.m. at All Saints Cemetery, 203 Spring Lake Road, Waterbury. Meet directly at the cemetery.